It was around this time in 2014 that I first signed up for Netflix. It’s hard to believe I’ve only been watching Netflix for a year, unless you happen to know me well. I’m perpetually late to everything new and cool. The last thing I adopted early was Gmail back in 2006 when you needed to be invited to by someone already using it. As well, I went through a period of about six years where I stopped watching TV and movies altogether. During this time, I was hung up on a guy who deemed most forms of media and popular culture trivial. In order to try to impress him, I gave up visual entertainment in favour of things which, while still interests of mine, were more so the things he most enjoyed rather than my own core hobbies and preoccupations. (Incidentally, this period corresponds with the six years I stopped writing, between 2006 and 2012). Me and that guy have long since parted company, and not a moment too soon, for during the year I’ve been watching Netflix, I’ve come to realize it’s making me a better writer. Even as I just sit there, staring. I bet it’s doing the same for other writers too, through three key Netflix features. 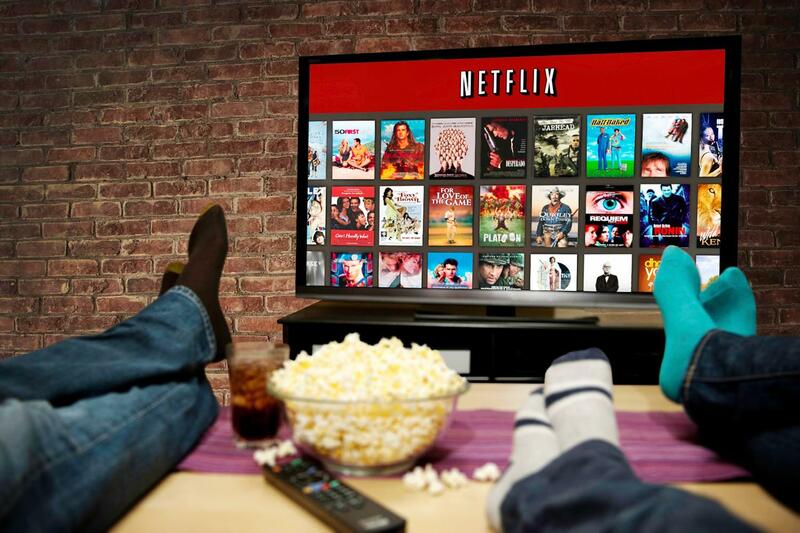 Despite containing numerous movies, documentaries, and comedy specials, Netflix seems to most equate itself with TV, offering countless TV series in complete seasons, creating its own original series, and overall styling itself as the modern way that modern viewers watch serialized visual stories. I’ve mentioned before that I don’t particularly care for movies as a media format – that I find their pacing awkward and their character development rushed, particularly when the story in question began its life as a novel. To me, movies aren’t the visual equivalent of books; TV series are, offering the time and space to truly delve into a novel’s themes and subplots and growth and change of the characters. (TV shows even use the same terminology and mechanics as novelists, talking about character arcs and story arcs as they play out across successive seasons). As I watch shows, I find myself constantly pondering how I would convey in words what I’m observing on the screen. This not only trains my ability to write the story images in my head, but also helps me dream up new images to describe in my writing. Say whatever bad things you want about binge-watching: it’s antisocial, it’s sedentary, it puts you at risk of overeating, it’s cruel and unusual punishment to your sofa. But having now more than once powered through a show’s entire season in a single weekend, Netflix gives me the opportunity to analyze the unfolding of an entire story faster than I can perceive it in a novel, which usually takes me at least month to get through. This means I’m able to clock the pacing of all the twists, developments, high points, and low moments in real time. I can do the same with individual episodes of a show as well, particularly the Netflix original shows, which don’t contain the artificial pacing of shows mean to accommodate commercial breaks at pre-determined intervals. Loglines – a one- to two-sentence description of a story’s main character, conflict, and plot that’s written with a view to entice – have always been a tough concept for me to grasp. Until I re-watched Sister Act – one of my all-time favourite comedies – last weekend. I was folding laundry while watching, and paused the playback to put the clothes away. When I returned, the following greeted me on the screen against the faded scene where I’d left off (click to enlarge): It was as if the heavens opened up and shone down with the holy light of understanding. Those little descriptions Netflix provides for movies and shows are loglines. It didn’t occur to me before because I was using Netflix to watch things I hadn’t seen before. But I know Sister Act well, and that description describes the movie perfectly. In medieval England, a lowly but skillful lady escapes her abusive father by helping a baron battle his greatest enemy, and resorts to treachery and witchcraft to ensure the war’s outcome results in the life – and love – that she wants. Now, I just need to stop watching Netflix long enough to finish writing my WIP. Do you like Netflix? If yes, what shows are you watching? Writers, do you agree that Netflix can improve your writing skills? Let me know in the comments. This entry was posted in Writing and tagged Character arc, Character development, Loglines, Netflix, Pacing, Plot, Story arc, TV, WIP. Bookmark the permalink. ← Should Writers Abbreviate Their Names? I haven’t seen Boyhood but would probably find it movie very frustrating in that regard. Twelve years in two hours sounds like emotional whiplash to me. Good luck getting your TV sorted. Once you do, you can also use if as a giant computer monitor as well if that strikes your fancy. Binge watching TV is the greatest invention of the past 200 years. and I like the improvements to your logline. What was missing before (in hindsight) is the spirit of the main character. Thanks. Sometimes it takes an example in a different medium for a lesson to really hit home. Every part of me agrees with that assessment save my backside! I do the exact same thing !!! When I was like twelve and watching LOST for the first time (and the seven or so times after) I would *always* try to figure out how I’d describe the individual aspects of the characters’ facial expressions and how I’d work out all the flashbacks and stuff. I thought I was the only one who was like that. Maybe you and I are the only two. We can form our own secret society and no one will know how our writing came to be so good! GREAT post! I hadn’t thought about the loglines but it makes sense. And there really are some bad loglines there and they always ALWAYS turn out to be bad movies. Lol. I’ve watched so much at this point I can typically see from the description that something’s bad. I agree with you 100% about this though I hadn’t thought of it myself. Well, I feel less bad about watching it now, particularly since I started stretching during TV hours. I just started watching Marco Polo by myself and Orphan Black with my mother. These TV shows are seriously flawed but has their promise and a lot of good points. What makes us the best writers is not gaping at a perfect TV show and wondering how to do THAT but looking at those with flaws and saying “well, I definitely won’t do that in this context”. Other shows: Orange is the new Black, Game of Thrones, Archer and (drum roll) Mad Men. The latter is, in my opinion, utterly perfect. It suits me so well. Its pacing fits its setting, it plays perfectly on the ways they build up the characters prior to each scene but don’t retell what has happened. When I watch the latest seasons I’m like “wow, they’ve developed so much. And oh, he’s doing that because of this that happened and that made him feel this”. I feel like I really get to know the characters. I haven’t watched Mad Men or Archer, but have watched Marco Polo, Game of Thrones, and Orphan Black. I just started watching Sherlock and am really enjoying that for the visual portrayal of such an idiosyncratic character. I can’t get through Sherlock at all. The first episode is incredibly boring IMO! I guess I’ve not got a lot of space in my repetoire for those minorly “ridiculous” shows, as Doctor Who, Sherlock and similar shows – Hitchiker’s Guide to the Galaxy irked me for that very reason. But many others find it humorous. *Shrugs* Goes to say I shouldn’t write comedy. P.S. Thanks to you and your mom about my name. 🙂 I used to hate it but have since come to better appreciate it. Oh, I prefer the original logline – snappier. Roy, you crack me up with your one movie a year! Each to their own, of course; my only caution is to remember the importance of studying the market (and in today’s transmedia environment, that market doesn’t just include other books). I just finished a great book on the subject called The Writer’s Advantage by Laurie Scheer. Thanks for the vote on my logline. The thing I like better about the new one a) describes more of the plot, and b) gives the MC more agency – her taking steps to ensuring a particular outcome is more active than merely discovering something she didn’t previously know. For most of my life, my TV (when I had one) only played recorded programs. I was without a TV for most of my life before VHS tapes became popular. My husband and I have developed a library of movies and TV series large enough that we watch part of one every evening, and rarely watch one twice in one year, except when we get in a frenzy about one, and watch it repeatedly to catch its subtleties. I love noticing how my responses to the same movies change over time. I love discovering why a certain scene affects me a certain way, and working to recreate that in my writing. I also love working with my husband to analyze what the creators did, and create alternatives to parts of the stories that we watched together. Like you, I attribute “watching TV” to making me a better writer. I always preferred TV shows to movies, even when there was no other option but to watch the show live as it aired and then wait a whole week for the cliff-hanger to resolve during two-part episodes. But it was really the advent of binge-watching that helped me perceive the arc of a novel-length story and its characters in a way I feel has been beneficial to my writing. I’ll never feel guilt about a lazy Saturday with Netflix again!